Scott Friedman, CSP, and 2004-05 President of the National Speakers Association (NSA), is an internationally sought after professional speaker and author. As a motivational humorist, Scott inspires and entertains with fun-filled, interactive and content-rich programs. Scott’s main area of expertise is employee innovation, customer experience and using humour and celebration as a strategic tool. 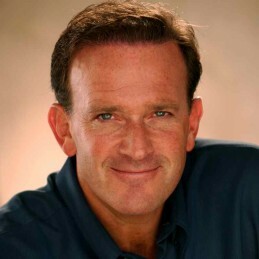 In addition to being the CCO – Chief Celebration Officer at Friedman & Associates, Scott has written “Celebrate- Lessons Learned from the World’s Most Admired Organizations,” “Happily Ever Laughter – How to Engage Any Audience,” and “Using Humor For A Change.” He is also the co-author of four additional books. For almost three decades, Scott has combined his improvisational humour experience, the art of story telling, and relevant content to help his clients achieve their objectives. As a CSP, Certified Speaking Professional and trusted member of the speaking community, Scott continues to have a strong presence both domestically and globally. Scott now spends 30% of his time speaking throughout Asia and other locations around the globe. His international clients include Singapore Airlines, the Singapore Government, Gold Fields of South Africa, Young President’s Organization, Hyatt Asia, HSBC and many Fortune 1000 companies.